Tokyo Islands » Oshima » Make your own Tsubaki oil! Produced since the Heian Period (794-1185), Tsubaki oil, also known as Camellia oil or Tea Seed oil in the west, has been fostering the beauty of Japanese women for many years. This oil has been used to make all sorts of beauty products such as tsubaki shampoo, camellia oil for hair and tsubaki oil for skin. These products are hugely popular in Japan as well as in the west. At Oshima Furusato Taikenkan, you can have a go at cold pressing your own Tsubaki oil. 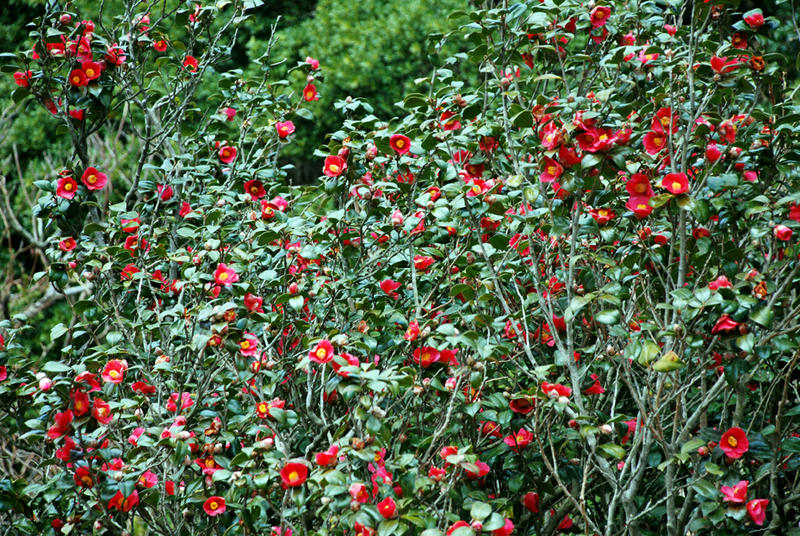 Tsubaki (camellia) oil, a specialty product of Izu Oshima island. At Oshima Furusato Taikenkan, you get to experience what it’s like to cold press Tsubaki oil from Tsubaki seeds. In addition, you get try the very oil you just pressed sauteed with ashitaba, a parsley like herb, and take home the rest in a small bottle as a souvenir. We urge you to give it a go! Collecting Tsubaki seeds from the Tsubaki flower and hand picking only the best. The seeds from the camellia japonica trees, native to Izu Oshima, are harvested and checked through for worm eaten seeds. The best seeds with a decent amount of substance are picked out. It has been said that the kids who grow up on this island would go collect seeds between the harvest season of September and October, so that they could take it to the oil refinery to earn a little pocket money. 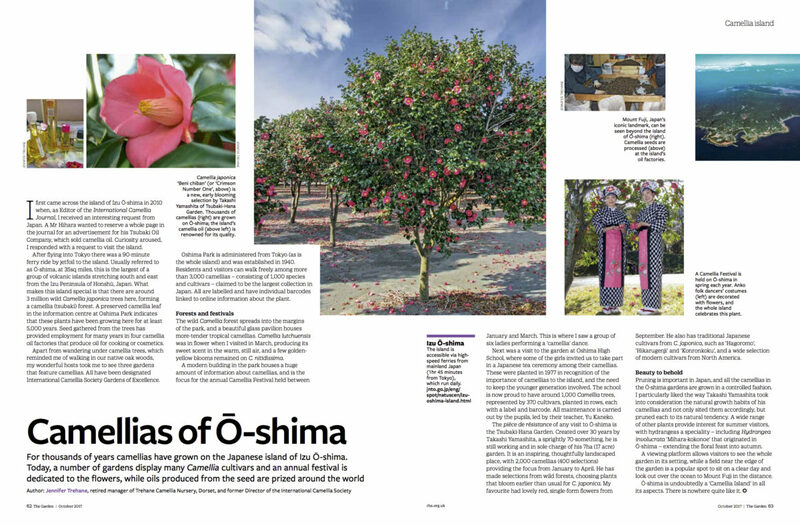 At Oshima Furusato Taikenkan, the camellia seeds are already checked for quality. Pressing the Tsubaki seeds so we can make some Tsubaki camellia oil! Now, let’s get started with the Japanese camellia oil cold pressing workshop. Begin by pulverizing the selected Tsubaki seeds into tiny pieces. Back in the day, the seeds were crushed by force using a mortar, but nowadays it is done using special machinery. 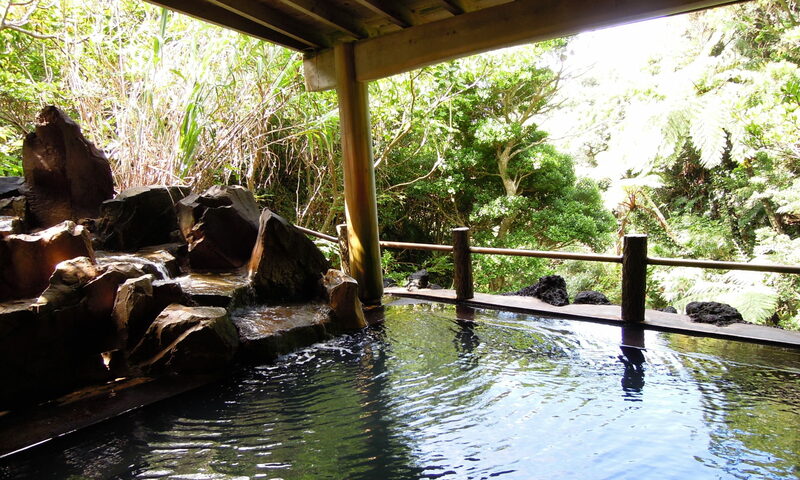 At Oshima Furusato Taikenkan you get to experience both methods. We will be turning roughly 2.5kg of seeds into Tsubaki oil. Sift the Tsubaki powder a few times to make sure all the seeds have turned into a fine powder before steaming in a steamer. Sift the finely crushed Tsubaki seeds. The seeds that don’t pass the sieve are returned to the machine to be crushed until they are small enough to pass through it. Repeat this process until all the seeds are a fine powder. Transfer the crushed seeds to the steamer and steam for approximately 5 minutes. After a little while, you begin to smell the fragrant scent of Oshima Tsubaki oil. It smells wonderfully nutty! After a while, you start to see the beautiful amber colored Tsubaki oil. Once it’s done steaming, the seeds are quickly transferred to a pressurizer to squeeze out the oils before it cools down. After a while, you start to see the beautiful amber colored Tsubaki oil. At this point the oil still contains a significant amount of seeds and skin, which can be a major cause for early deterioration of the oil. As such, commercial Tsubaki manufacturers go through further purification processes to get the oil at a clearer color. In the end, the 2.5kg of seeds produced 500ml of oil which can be used to manufacture products such as Japanese hair oil and camellia oil for the face. Roughly speaking, that means only 20% of the seeds are extracted as oils. We tasted sauteed vegetables cooked using the freshly cold pressed Tsubaki oil. It tasted really smooth and was delicious! We even got to take some home in a small jar. What about the pulp from the Tsubaki seeds? They are reused for such purposes as fertilizers for farming. The pulp doesn’t get thrown away, but instead are used for such purposes as fertilizer for farms, or polish for floors. By the way, the pulp from camellia oil cold pressing includes something called ‘Saponin’. Saponin dissolves in both water and oil making it a surface active agent, in other words, it turns into foam. As such, it has been used as Tsubaki shampoo and Tsubaki detergent from many years ago. Tsubaki therefore has always been a valuable resource in all aspects of everyday life for the islanders. I hope it continues to be valued for many more years to come. Group size: Minimum of 2 people. Student and group bookings welcome. Please contact us for more information. ※ Reservations required for this workshop. In the case that you don’t have a reservation, you may be asked to wait, or not be able to attend the workshop at all. Mr. Kikuchi of Furusato Taikenkan has in-depth knowledge about Tsubaki, and taught us a lot about Izu Oshima Tsubaki while referencing various books. Thank you Mr. Kikuchi! Thank you for your comment and truly sorry we are late to reply. We didn’t any notifications so couldn’t notice your comment. There are some sourvenior shops around Motomachi port. There are 4 or 5 shops in there. Each shops have uniquness. So you will find your best place around there. Hope it helps you.